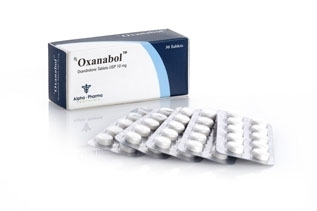 Oxandrolone (Anavar) - an anabolic steroid with extremely low androgenic activity and very high anabolic index. It is very popular in bodybuilding as one of the best anabolic steroids for weight loss and drying cycles. Also known by the trademark Anavar. 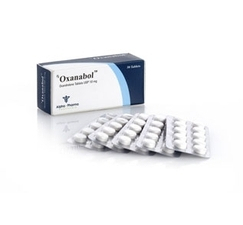 Oxandrolone was established in 1964 and was originally used for the treatment of immunocompromised individuals with anemia, for strong bones, in Turner syndrome, as well as to accelerate the recovery from burns. Tablets Oxandrolone - one of the few anabolic drugs, which has been successfully used in the women's bodybuilding. The drug has a very high anabolic index. Its anabolic activity is as much as 400% of testosterone, whereas androgenic component is reduced to 25%. Anavar is not converted into estrogen, so does not require the inclusion in the course of such drugs like Tamoxifen or Proviron. The drug alkalirovan 17-alpha, allowing you to pass through the liver without being destroyed, but it has a weak toxic effects. Anavar is only available in tablet form. The period of validity of the drug in blood is 8-12 hours, the time of detection - up to six months.